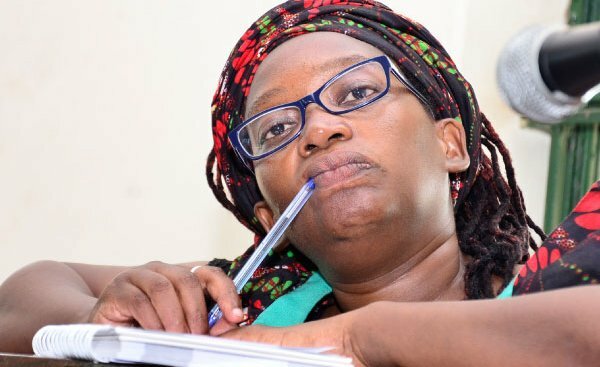 KAMPALA – Buganda Road Chief Magistrate’s Court has set February 15 to rule on whether the charges against Dr Stella Nyanzi is defective as she alleges. Before her trial kicked off in December last year, the former Makerere University researcher, through her lawyer, Isaac Ssemakadde raised a primary objection on the charges against her. Ssemakade contends that the particulars of the charges against her do not disclose the specific offence she allegedly committed rendering it defective. “The charge sheet does not indicate the purpose of the alleged indecent communication or a specific period of time when Nyanzi made the post which is an essential ingredient when it comes to prosecution of internet cases, rendering it defective and incurable,” Ssemakadde submitted. Nyanzi is charged with two counts of cyber harassment and offensive communication in regard to her alleged indecent communication against President Yoweri Museveni and his late mother, Esiteeri Kokundeka. Ssemakadde insists that Nyanzi’s trial should be nullified because the charge sheet appears defective. “If the lawmakers had wanted the suspects to be charged in a very casual manner where the accused’s fundamental rights are not considered like in the instant case, they would have easily stated so in the enabling law,” Ssemakadde submitted. However, resident state attorney, Janat Kitimbo says under the law the accused is not open to objection to an offence because the charge sheet does not contain all the particulars of the charge. “The intention of Parliament to come up with section 88(o) of the Magistrate’s Court Act (MCA) was meant to avoid the situation where an accused does not want to stand trial when witnesses have been summoned basing on a technicality to defeat justice,” Kitimbo submitted. Section 88(o) of the Magistrate’s Court Act, states that a charge sheet shall be sufficient to describe any place, time, thing, matter, act or omission to which it is necessary to refer in any charge in ordinary language in such a manner as to indicate with reasonable clearness the place, time, thing, matter, act or omission referred to. After hearing from both parties on Thursday, Grade One Magistrate Gladys Kamasanyu set February 15 to rule on the matter. Nyanzi, a mother of three has been on remand since November last year. She also got a miscarriage early this month while on remand. Even today Nyanzi did not ask for bail and has been further remanded until February 15. Prosecution led by Janat Kitimbo alleges that on September 16, 2018, Nyanzi posted on her Facebook wall indecent words against the president and his late mother. Under the law, Any person who willfully and repeatedly uses electronic communication to disturb or attempts to disturb the peace or right of privacy of any person with no purpose of legitimate communication is liable on conviction to a fine not exceeding twenty-four currency points or imprisonment not exceeding one year or both. In regard to Cyber Harassment, a person who willfully, maliciously and repeatedly uses electronic communication to harass another person and makes a threat with the intent to place that person in reasonable fear for his or her safety or to a member of that person’s immediate family commits the crime of cyberstalking and is liable to a fine or imprisonment term not exceeding five years or both.